CDW Leasing Services help your IT dollars go even further. Emerging IT trends such as virtualization and hyperconvergence can change the way you do business. But there's not always room in the budget for a large-scale upgrade — and the technologies you choose to invest in may be obsolete in just a few years. You need to find the right balance between the technology you need and your bottom line. Equipment leasing lets you acquire the latest hardware and software at a manageable cost while remaining flexible as your technology needs grow over time. 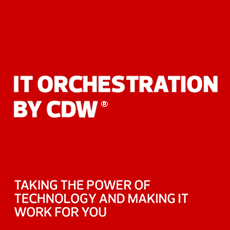 CDW gives organizations the option to lease virtually any IT product, from computers and telephony equipment to software and servers, at rates and terms that work for you. Give us a call at 800.800.4239 for leasing rates. Give us a call for leasing rates. Browse our frequently asked questions about CDW Leasing Services to learn more about our computer and IT equipment lease offerings. Are you looking to slim down your IT budget or scale up quickly on few resources? Read the Top 10 Advantages of Leasing to see how you can save. With CDW Leasing, you have the option to add on or upgrade during the lease term. At the end of the lease, you can choose to return or purchase the equipment. CDW Leasing allows you to make payments over time rather than investing a lump sum up front. Payments can be tailored to budget levels and may be tax deductible. CDW Leasing reduces upfront costs to reduce impact on cash flow. It also preserves working capital and existing credit lines, freeing up cash for other expenses. We offer 100% financing with no money down, payment structures that match cash flows or business cycles, and a variety of end-of-lease options. The great thing about leasing is that we know what the payments will be. And when we renegotiate the lease, we can keep the payments about the same, yet replace the equipment with the latest gear. Without the leasing program, we would have to buy physical boxes and piece the applications together. It really helped to bring in the blade servers from the start. At CDW, we focus on providing the best solutions in the industry — not simply the latest solutions from a single provider. We work with top equipment leasing companies to facilitate lease terms that best fit your unique needs and budget requirements. Depending on your technology needs, we can secure a FMV lease with maximized options and terms. Arrow Capital Solutions (ACS) offers a full range of flexible payment solutions tailored to your business needs. ACS simplifies the purchasing process by including all brands of hardware, software and services. ACS provides a unique structures customized for CDW customers including deferred payments, variable structures, managed services and more. Financing through Cisco Capital can help you address your business's critical needs. Focus on your key business objectives such as increasing productivity, maintaining profitability and improving competitiveness through innovation. Dell Financial Services (DFS), part of the Dell Technologies family, is a global provider of innovative payment and consumption solutions. DFS can finance any hardware, software and services solutions, allowing customers to choose how they want to consume their technology. DFS delivers end-to-end solutions across Dell Technologies, channel partners and distributors in more than 50 countries. HPE Financial Services and CDW can provide IT investment solutions and consumption models to help increase your investment capacity and flexibility. We'll help you overcome overstretched IT budgets and gain greater agility to handle multiple priorities. VAR Technology Finance makes equipment leasing as painless as possible. Most leasing decisions can be provided within an hour. After you've been approved and signed the documents, VAR Technology Finance immediately sends out the purchase order to ensure you get your equipment without delay. Get advice from a leasing expert.